Front shortest length from (approx) 105cm/41.3"
Back length from (approx) 114cm/44.8"
This elegant dress is the perfect option for those special occasions. 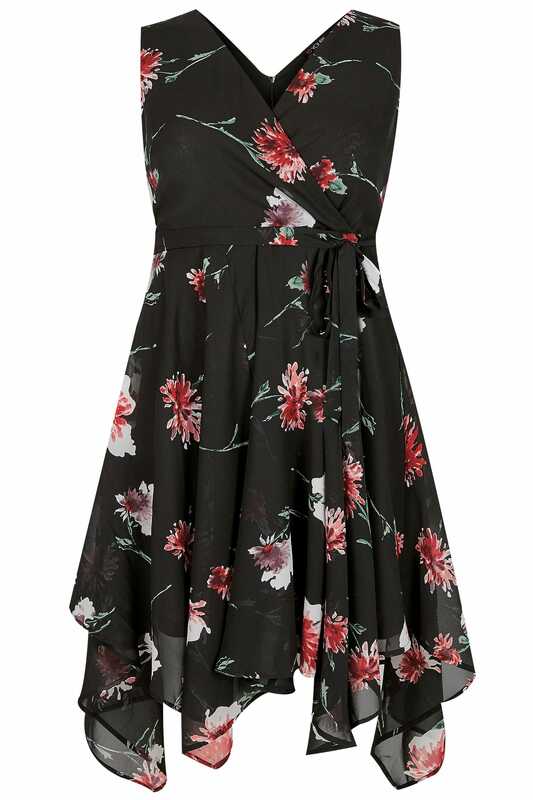 In a shape flattering wrap style with a tie waist featuring a hanky hem at a midi length, it is elevated by a v-neckline and secured with a rear zip fastening. Team with high sandals and a clutch to complete the look. 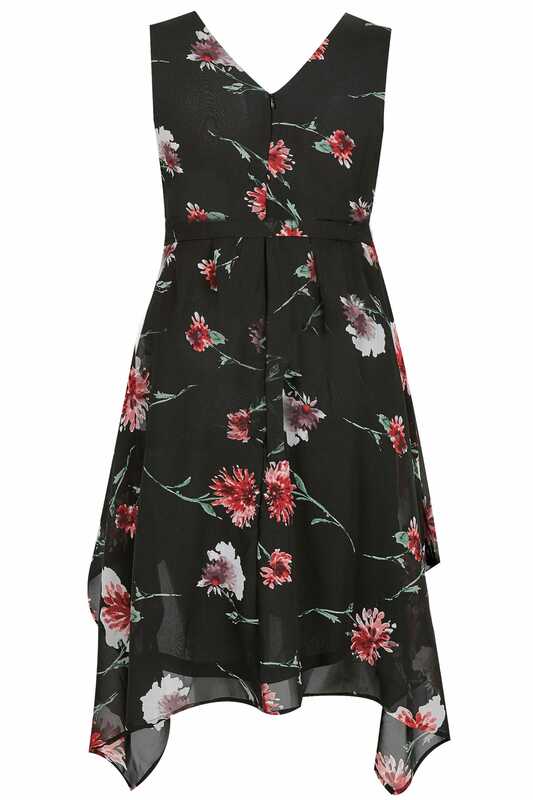 The perfect pop of colour, we are loving the floral print.